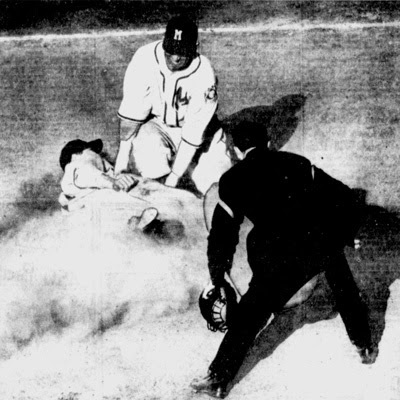 Today's dynamic Borchert Field game photo comes from the Milwaukee Journal, published Wednesday, May 10, 1939. 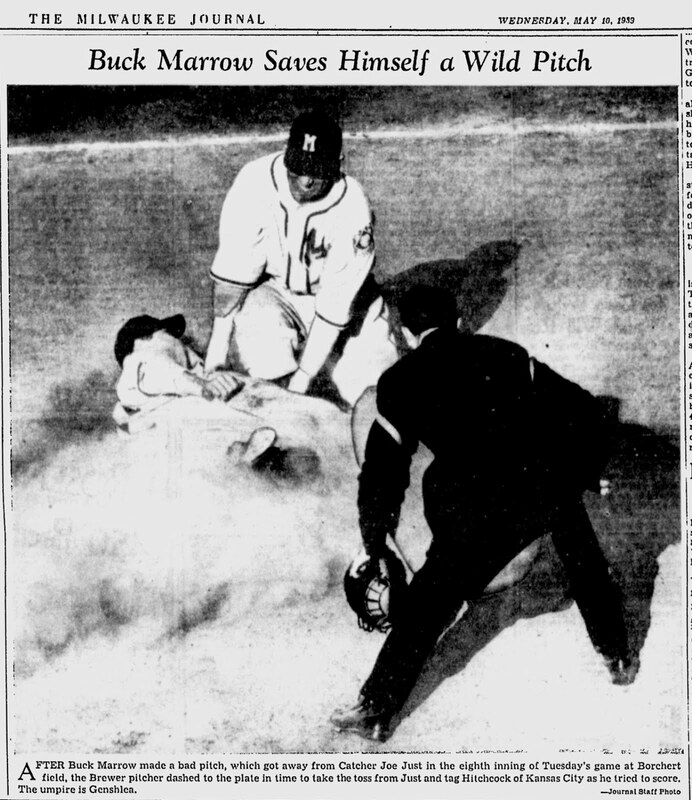 After Buck Marrow made a bad pitch, which got away from Catcher Joe Just in the eighth inning of Tuesday's game at Borchert field, the Brewer pitcher dashed to the plate in time to take the toss from Just and tag Hitchcock of Kansas City as he tried to score. The umpire is Genshlea. I love the late-1930s Brewer uniforms, with the thick blue piping and red block "M" on the chest. The baseball centennial patch on Buck's left sleeve was particular to the 1939 season. The æsthetics of baseball were changing; jerseys still had relatively long sleeves, reaching to a player's elbows, but that was changing during this period. Within a few years, they would be shortened to the mid-bicep length which survives today.